Wayne Newton makes his return to the stage after more than five years with his all-new and original production "Wayne Newton: Up Close and Personal”. This show is like an intimate 'conversation' with Mr. Las Vegas. He will perform a few of his classics such as "Danke Schoen" but the highlight of the show is when he tells you all about his 50+ years in show business, about his friends such as Sammy Davis Jnr, Lucille Ball and Bobby Darin to name a few! Mr Newton will also answer your burning questions during this 80-minute show performed at the Windows Showroom at Bally’s Las Vegas. Come see Mr. Las Vegas, Wayne Newton, grace the stage at Bally’s Las Vegas. One of the hardest working men in show business, Wayne Newton is back with an “up close and personal” show unlike any he has ever done before, boasting a compilation of all of his extraordinary talents. Listen as Wayne sings a few crowd favorites including his platinum record hit, Danke Schoen, as well as engaging your with personal stories and answering questions. His vast musical talents are on display as he plays an assortment of the many instruments he has perfected. Voted Nevada Magazine’s “Best Entertainer” eight years in a row and having performed over 30,000 shows in Las Vegas, Newton shares the fantastic stories and videos that were impactful and influential on his legendary 50+ year career. Don't miss out on the option to upgrade to the Meet & Greet Package. 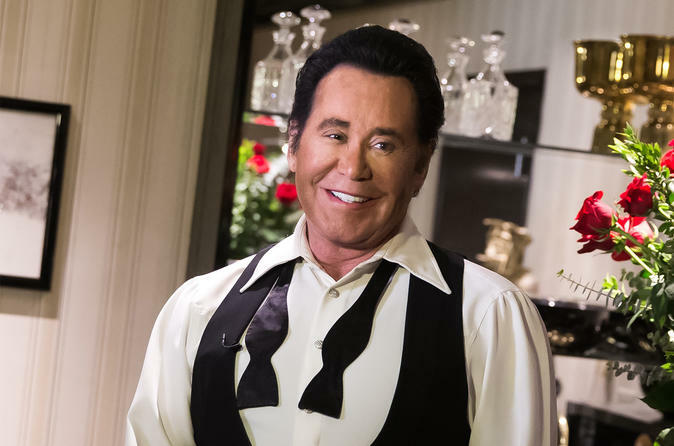 After the show, you will have an opportunity to meet Wayne Newton, take a photo and chat to him for a few minutes. This is a great way to meet one of the legends of Las Vegas. Special Offer - Book and save 40% compared to the local supplier's prices! - Book Now!